Great podcast, reminds me of old time radio hour. When video collector Mark Cambria watches a mysterious VHS tape, he begins talking in his sleep in a language that doesn't exist. Mark and his girlfriend Tamra set out to investigate the tape's origin and find themselves caught up in a web of conspiracy, occult, and dread surrounding a legendary video store with a sinister purpose beyond imagining. 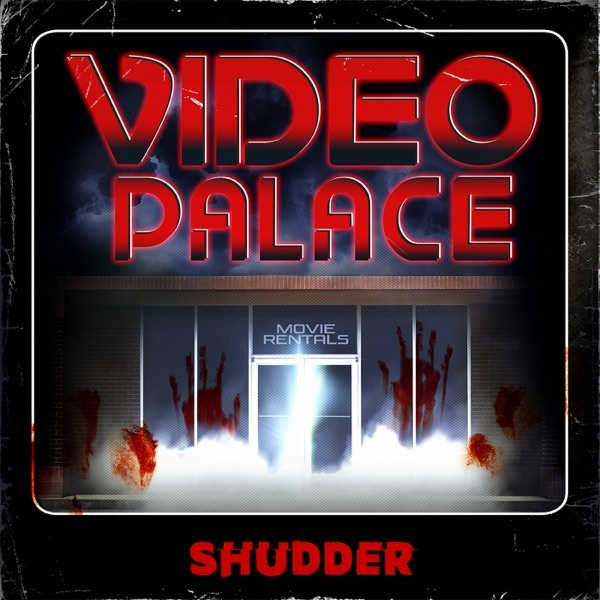 Video Palace was created by Nick Braccia and Mike Monello, directed by Ben Rock, written by Ben Rock & Bob DeRosa and stars Chase Williamson and Devin Sidell. After agreeing to call off the investigation, Mark secretly goes back to Randy’s piano shop to get to the heart of the mystery once and for all. He records his descent into the hidden basement, where he discovers the horrifying truth behind the white tapes. Tamra finds the recording the next day and uses it to retrace Mark’s steps, but as she searches for an answer to his ultimate fate, a familiar obsession begins to grip her. After the argument that might have ended everything for Mark and Tamra, Mark is ready to give up the investigation - until Tamra calls to say she solved the code that Cat found in the tapes, which contains coordinates leading somewhere Mark never suspected. Patching up their relationship while staking out the location, Mark’s investigative instincts kick into overdrive and he impulsively crosses a line he’s never crossed as an investigator and charges directly into the heart of the mystery. Mark and Tamra learn more about Cat’s terrible accident while waiting with her wife at the hospital. When they return home, they discover someone has broken into their apartment and taken something vital. Hoping for good news, Mark returns a call to Jacob Manders and is confronted with a tragic turn of events. Pushed to the breaking point, Mark and Tamra have an explosive argument that could mean the end of their investigation as well as their relationship. Mark and Tamra enlist Cat’s help in lining up the audio in all four white tapes. She plays the resulting project for them, which causes Mark to pass out and injure himself. Now on their own, Cat and Tamra make a crucial new discovery: a secret code buried deep within the white tapes. After the two young women are startled by a strange visitor outside the front door, Cat leaves to break the code at home, but a bizarre accident threatens Mark and Tamra’s entire investigation. Mark interviews a former clerk at the Video Palace and learns some intriguing new information, including the strange circumstances of her last night at work. Meanwhile, Tamra visits a mental institution in search of the owners of the Video Palace. Mark and Tamra come away from their separate investigations with new clues, including two more white tapes and a chilling message from twenty years ago. Mark and Tamra travel to Conway, Vermont, and the original site of the Video Palace. Once there, Mark has an unexpected reaction to what was once the legendary video store. Afterward, they interview the locals and get a promising new lead, as well as a first-hand account of a run-in with The Eyeless Man, a local boogeyman some say was made up to scare children. Mark and Tamra decide to stay overnight in a motel, where Mark’s sleep talking takes a turn for the worse. Mark and Tamra ask for help from their friend Cat, who composes the music for Mark’s podcast. She analyzes the white tapes and surmises that there must be more of them in existence. Mark shares Cat’s theory with film-collector Jacob Manders, who adds a theory of his own, that the white tapes were actually made at the Video Palace. Mark and Tamra are left with only one choice: they have to go to Conway, Vermont, in search of the original Video Palace. Excited to have found a second white tape, Mark shares the news with his new friend, film-collector Jacob Manders. Tamra helps Mark trace the new white tape to Randy Wane, a professional piano tuner with a nearby shop. Mark interviews him and learns more about the Video Palace before their encounter takes a strange turn that once again leaves Mark physically ill. Afterwards, Mark receives an odd voice mail message with a surprising connection to Randy. Mark interviews the wife of Thurman Mueller, who was deeply obsessed with the Video Palace before he disappeared twenty years ago. Mark is excited to discover another white tape in Thurman’s vast movie collection, even though viewing it makes him physically ill. He’s forced to flee with the tape when confronted by Thurman’s volatile son, Shane. After Mark returns home, he learns that Tamra was unnerved by a strange sound at their door. After watching a mysterious white VHS tape, video collector Mark Cambria begins talking in his sleep in a language that doesn’t exist. He interviews several colleagues in the film community and discovers an urban myth surrounding the existence of the so-called “white tapes.” Mark’s search for answers leads him and his girlfriend Tamra to the legend of the Video Palace and also to Thurman Mueller, a former Video Palace member who has been missing for over twenty years.